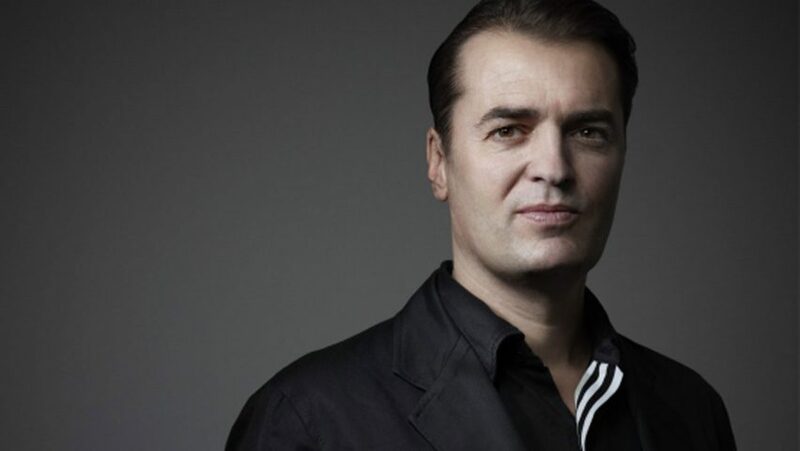 Zaha Hadid Architects director Patrik Schumacher has said he regrets the reaction to his recent speech about London's housing crisis, and claims he only wanted to trigger a discussion. In a post on his Facebook page, Schumacher claimed that the public and media response to his World Architecture Festival speech – which called for social housing to be scrapped and public space to be privatised – was not what he was expecting. He described it as an "avalanche of indignation", and apologised to friends and colleagues for embarrassing them. But the architect – who has led Zaha Hadid Architects since the death of its founder earlier this year – also said that his "emerging Mr Nasty image" was "no more than a media caricature constructed to shock and entertain". He claimed his vision for a deregulated and privatised city was formulated in the pursuit of a "shared dream". "Like all of us, I dream of a caring, inclusive, diverse society where everybody can flourish and realise his/her potential and nobody is left behind. All I say is inspired by this longing," he said. Schumacher has come under fire for the comments he made during a keynote address at the World Architecture Festival in Berlin, which was attended by hundreds of architects from around the world, and which was first reported by Dezeen. His presentation mapped out an eight-point plan for making London's housing provision more efficient, including encouraging foreign investment into property and gentrification. London mayor Sadiq Khan has since responded to the comments, branding them "out of touch" and "just plain wrong". "One of our biggest strengths as a city is our diversity, with Londoners from different backgrounds living side by side," he told London newspaper the Evening Standard. "So whether these out-of-touch comments were designed to shock or not, anyone who thinks abolishing affordable housing altogether, supporting 'buy-to-leave' empty properties, and building on Hyde Park is the answer to London's housing crisis doesn't understand the first thing about our great city." Meanwhile, Dezeen columnist Phineas Harper has urged the architecture industry to stop paying attention to the architect. "The fact that the architecture world continues to give Schumacher airtime reveals the intellectual weakness of our profession, unable to see through the specious dogma," he said. The bruises from the avalanche of indignation triggered by reports about my recent WAF remarks on the housing crisis are still fresh (and I still feel rather muted). My friends know that the emerging Mr Nasty image is no more than a media caricature constructed to shock and entertain. But more than acquiring this new ugly image, what inspires my regret about this naïve discursive misadventure, is my sense of having embarrassed my friends and colleagues. I was hoping to stir a discussion and got much more than what I had bargained for. The topics I touched upon turn out to be too touchy to touch at all in any direct or straightforward way, or so it seems, and I won't touch them in this post. But I do want to say a few clarifying words; and first of all state explicitly the premise that I naïvely presumed to be understood as the implicit, self-evident premise of all contributions to a public discourse forum: Like all of us, I dream of a caring, inclusive, diverse society where everybody can flourish and realise his/her potential and nobody is left behind. All I say is inspired by this longing. Let me be a bit more specific – albeit still in very general terms – about my vision/hypothesis about how our shared dream might be best attained: I envision a society based on free association and mutually voluntary interactions and exchanges, where we grant each other more degrees of freedom and believe in each other’s capacity of self-responsibility and charity, where the rules of interaction can be explored, discovered and allowed to evolve and where organisational and moral standards emerge and adapt to new challenges and technological opportunities in a dispersed, bottom up process of discovery and cumulative selection/validation (rather than via majority rule), ideally without too many foreclosing impositions from a control centre that is lacking the information processing capacity to adequately cope with increasing levels of complexity and dynamism of our global society.